The new 100% rewrite of Library Expert Enterprise is making good progress. You can see the updated and optimized Calculator Panel. Basically the same concept but totally redesigned for a User Friendly Interface. This is a screenshot of the new redesigned Calculator panel UI for the Aluminum Electrolytic Capacitor. Notice, no more tabs to fiddle with. The Preferences are expandable and contractible menus to allow the user to see all User Preference Settings at a single glimpse. Even the package dimensions are contractible and expandable. I will post more screenshots over the next month so you can start getting the new look and feel of the updated UI. In the Calculator UI, we replaced the "OK" select button to "Calculate". One of the major updates in V2020 will be eliminating the Fabrication and Assembly tolerances from the mathematical model for pad size calculation. 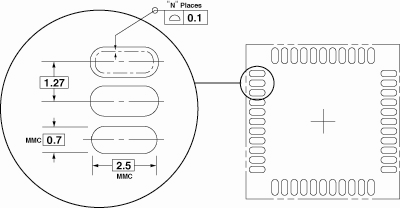 IPC has been promoting adding 0.05 mm (2 mil) annular ring to every pad since IPC-SM-782's release in March 1987. The concept was that the fabrication etching process could "over-etch" and therefore reduce the resulting pad size. However, all fabrication shops swell the outer layer copper features to compensate for the etching process. This allows the fabricator to deliver PC boards that closely match the Gerber, ODB++ or IPC-2581 data that you provide them. If IPC is adding a fabrication tolerance and the manufacturer is allowing for their tolerance, I call that a "double tolerance", thus making the calculation of the pad size too robust. 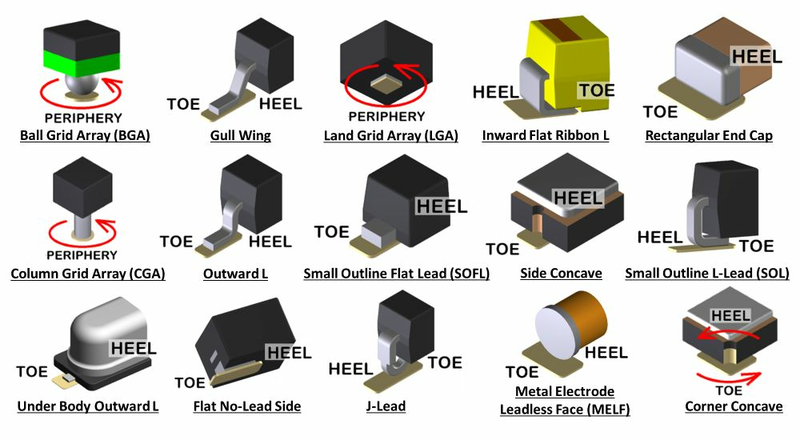 By removing the Fabrication Tolerance from the pad size calculation, the overall pad length is about 0.05 smaller or 0.025 Toe reduction and 0.025 Heel reduction. The 2010 release of IPC-7351B Assembly Tolerance has been set to 0.025 mm, but assembly machines in 2019 have an accuracy rate of 0.01 mm (10 micrometers) or almost nothing. To compensate the side solder joint goals for fine pitch packages, IPC added negative values to reduce the pad size when the Fabrication and Assembly Tolerances added to much excess. By changing the negative values in the side solder joint goals to 0.00, and removing the fab and assy tolerances, the pad width is only slightly affected because the removing the 2 values cancel each other out. These changes are necessary going forward however, the fabrication and assembly tolerance settings will remain in the V2020 IPC calculator even though the default values will be 0.00. This will allow the users who still want these tolerances in their pad stack calculation. Also, V2020 Library Expert users have 100% access in the new Options menu to change the Toe & Heel goals to add 0.05. This will make the pad length exactly what it originally was. Note: the Lead Tolerance is still part of the mathematical model for pad size calculation. The pad size will still compensate for the Least and Most material condition of the Terminal Lead Tolerance, even though some component manufacturers publish inaccurate tolerances and they strive to produce the nominal value of the Terminal Lead. Change is coming and it's for the better.